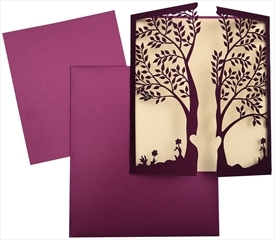 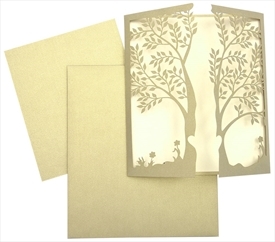 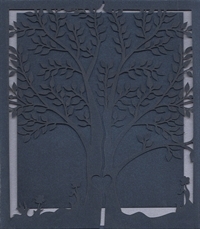 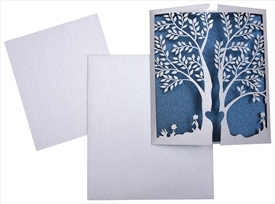 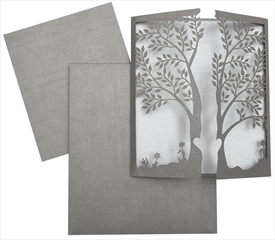 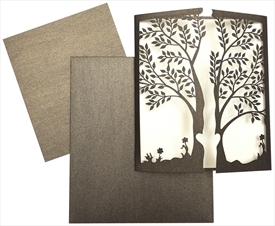 Intricate laser cut tree adorns the front of the card. 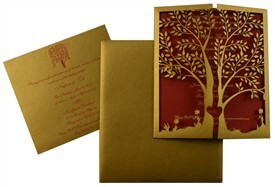 Main text is to be printed on Center pasted card. 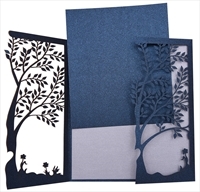 One loose insert for another event info. 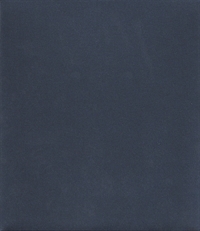 Envelope is plain. 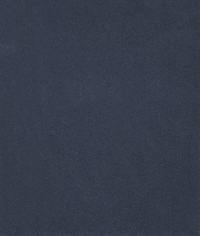 Navy blue shimmer paper (250 gsm) for double pasted main card, 1 insert and envelope. 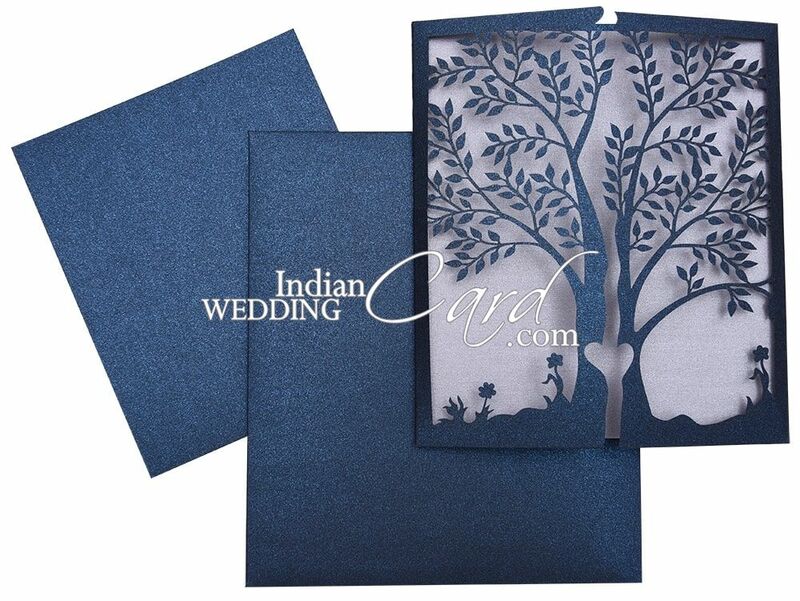 Center pasted card in silver shimmer paper (250gsm).